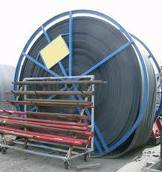 Apache looks all across the country for high quality, used belting, which can be purchased at a fraction of the price of new belts. Before we purchase them, belts are examined and assessed for quality, with all belts undergoing testing during the processing stage. These belts are only sold if they meet or exceed industry standards. 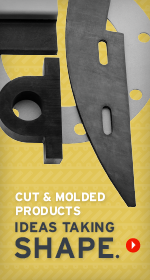 We have a wide selection in stock, and inventoried options vary continuously in terms of specs, widths, and lengths. Any of these belts can be cut to width or length to fit your exact needs. We can also square, punch, and recess your belting to prep for a mechanical splice. 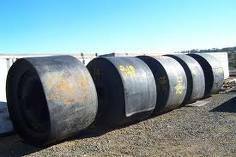 Contact us at 503.467.4671 or submit an inquiry below to see how much you can save with used conveyor belting.